Hundreds of students and teams across the United States and Canada compete in 12 Regional Ethics Bowl competitions each fall with hopes of being one of the 36 teams that progress to the national competition. The teams argue and defend their moral assessment of some of the most troubling and complex ethical issues facing society today. Questions address a wide array of topics in business and professional ethics, in personal relationships, and in social and political affairs. The competition focuses on selected case scenarios that are developed by ethics professionals from the Association for Practical and Professional Ethics (APPE) scholarly membership. The scenarios cover a wide range of disciplines including, but not limited to, business, engineering, journalism, law, medicine, and social work. In the competitions, students demonstrate their ability to (1) understand the facts of the case, (2) articulate the ethical principles involved in the case, (3) present an effective argument on how the case should be resolved, and (4) respond effectively to challenges put forth by the opposing team as well as the panel of expert judges. The Intercollegiate Ethics Bowl is open to all and we invite any who wish to participate—students, faculty, coaches, moderators, judges and supporters—to join in this powerful and unique educational experience. Click below to navigate to the Intercollegiate Ethics Bowl Competitions page for detailed information on regional competitions and forms. Click below to navigate to the IEB National Ethics Bowl Championships page for detailed information on the national competition. Congratulations to the University of Oklahoma! Oklahoma colleges excelled in the National Intercollegiate Ethics Bowl in Chicago, IL in March, 2018. The National Intercollegiate Ethic Bowl (IEB) consists of 12 regional competitions across the U.S. resulting in an invitation to the top 36 teams to compete for the national title. The Texas Region, consisting of Texas, Oklahoma, western Arkansas and western Louisiana was represented at the national event by St. Mary's University (TX), The University of Oklahoma (OK), Oklahoma City University (OK), and Oklahoma Christian University (OK). 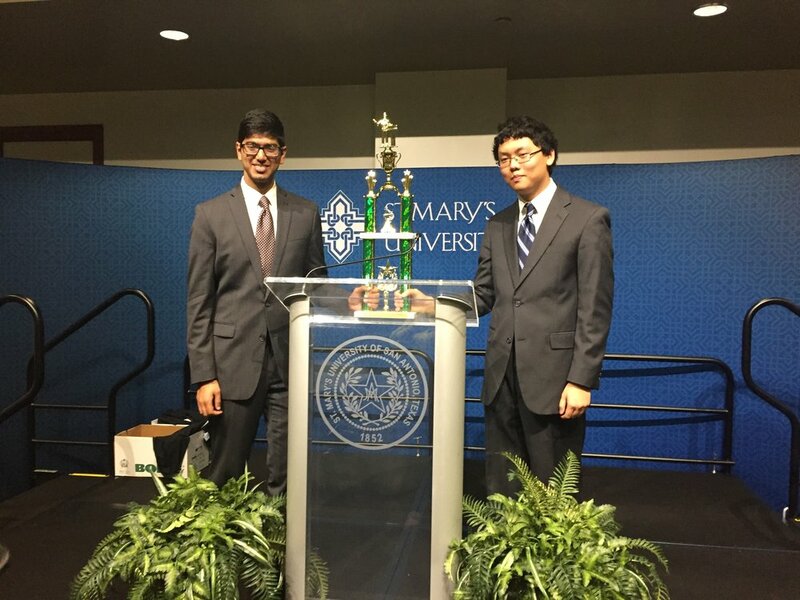 The University of Oklahoma surpassed Arizona State University in the semi-final round to compete against Santa Clara University in the final round. They lost the final round in a narrow 2-1 judge split with only a point differential of 3 points. This is the second time a team from The University of Oklahoma has placed in the First Runner Up position nationally, the highest any Oklahoma college/university has placed nationally. This year's event was the 22nd annual IEB and owes its heritage to Dr. Bob Ladenson, a professor who had the vision to develop the competition locally at his university and then watched it expand and grow in popularity because of the benefits to students. The Oklahoma Christian University was awarded the Bob Ladenson Spirit Award at the competition. This award is voted by all judges but more importantly by peer teams in the competition. It is awarded to the team that best exemplifies the spirit of the competition, collegiality and civil discourse among other qualities instilled by the competition. Congratulations Oklahoma University and Oklahoma Christian University! Oklahoma colleges excelled in the Texas Region Ethics Bowl in San Antonio, TX, capturing three of the four qualifying seats to progress to the national competition. Cameron University (Lawton), Oklahoma Christian University (Edmond), Oklahoma City University (OKC), Oklahoma State University (Stillwater), University of Central Oklahoma (Edmond) and the University of Oklahoma (Norman). 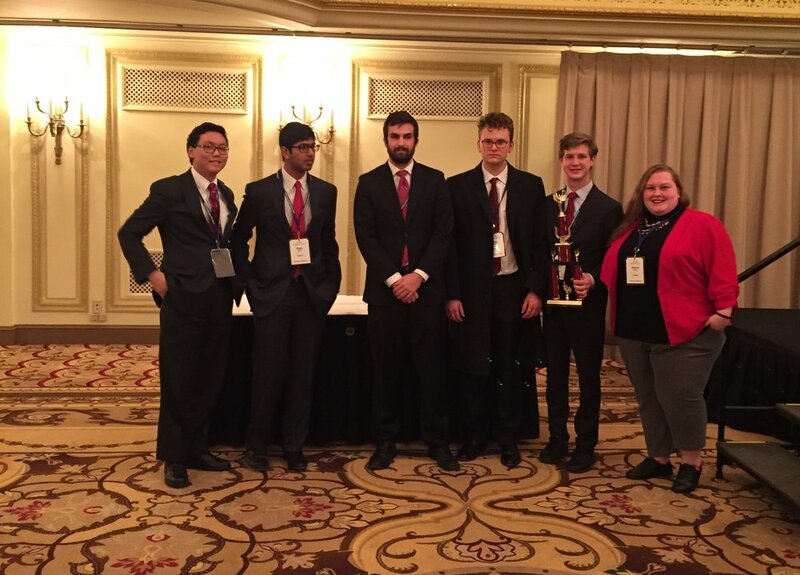 The winning teams progressed to the Association for Practical and Professional Ethics (APPE) Intercollegiate Ethics Bowl national competition in Chicago, Illinois in March 2018. Congratulations to Oklahoma Christian University! Cameron University (Lawton), Oklahoma Baptist University (Shawnee), Oklahoma Christian University (Edmond), Oklahoma City University (OKC), Oklahoma State University (Stillwater), University of Central Oklahoma (Edmond) and the University of Oklahoma (Norman).